Electronic waste is hitting the headlines again. Like plastic bottles which are choking our oceans, e-waste is a growing threat to our environment. According to the Global E-Waste Monitor, 44.7 million metric tons (Mt) of e-waste was generated in 2016 and only 20% was recycled through appropriate channels. That was two years ago. Today, many countries are not tackling the problem head-on. With China exporting its waste to Nigeria and Thailand becoming a dumping ground, there are some real concerns about the longer term environmental effects. E-waste is significantly more toxic than plastic and yet only 41 countries track e-waste and have official statistics. Given that e-waste contributes an estimated 20 to 50 million metric tons to landfill each year, according to the UN Environment Programme (UNEP), things are only going to get worse. Organizations have to take it upon themselves to manage e-waste more efficiently, for the sake of the environment; but, also for the sake of their finances. IT asset decommission companies are a great way to responsibly retire your surplus equipment. ITAD companies will buy your IT assets, and either resell them to the highest bidder whole or in reusable parts, or recycle them for you, returning some of the cost you originally spent. They will also manage the secure decommission of your data too – taking this vital responsibility off your hands. Returning IT equipment to the market extends the life of tech you no longer require, creating a chain of ownership and holding off recycling until it is absolutely necessary. 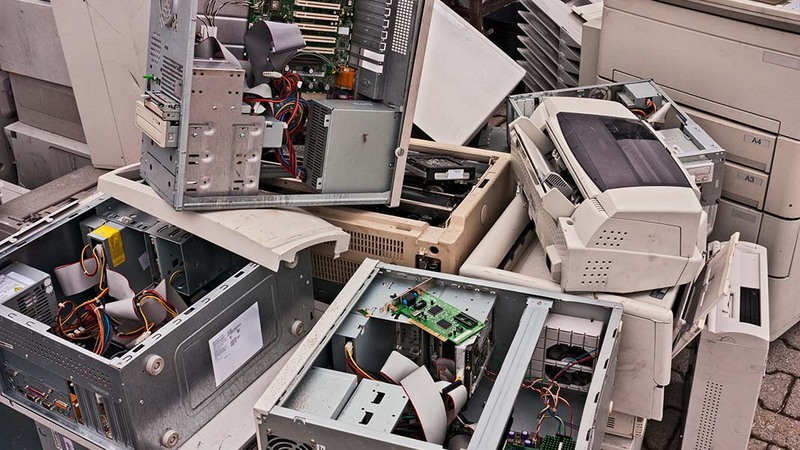 Before automatically disposing of surplus IT equipment, have you considered reusing or repurposing equipment? Before replacing every piece of tech in your organization with the latest upgrades, perhaps it’s worth reviewing whether this is completely necessary. Does every member of staff need an upgrade? How is your productivity affected by importing data onto new devices, and your staff learning their new tech? Is it possible to pass equipment down the company chain, or repurpose it in another area? As well as reducing upgrade costs, this will also extend the life of equipment, cutting the on-going need for ITAD support and ultimately creating waste material. Badly functioning IT equipment can seem like a drag on productivity, making the cost of replacing it seem more viable at the time. But the cost of repair may be less than you think. If your devices are no longer under warranty for repair with the manufacturer, a decent IT repairs service is definitely worth the time spent on research, especially if a deal can be made. Consider it an investment in the future, a way to support a local business, and a decision to be more responsible about your contribution to e-waste. Before purchasing new tech, consider reusing IT equipment you may already have in your company inventory, thus saving the business money. Are you fully aware of the equipment circulating in your company, and are you utilizing it fully? Another viable option is to purchase refurbished tech at a fraction of the cost of new tech. Third party maintenance companies can be used to maintain the equipment if you are concerned about a lack of OEM warranty. Donating your surplus equipment is a way to extend the life of unwanted devices, and help a worthy cause. There are a range of organizations that will happily take these items off your hands, allowing you the benefit of promoting yourself as a ‘green’ company. The World Computer Exchange works with 450 other organizations to provide tech to youth in developing countries and will accept a range of devices to support education. Earth911 is a great resource for finding local charities to donate to, so you can support your local community. Many of these organizations will also provide a tax receipt for your generous donation, so you can recoup some more of your IT equipment expenditure. When you must recycle your used equipment, make sure your e-waste is being dealt with responsibly. Chose an R2 certified or e-stewards recycling service, with the appropriate licensing. These services have to verify a responsible downstream path for e-waste. This, of course, is a last resort, but taking any of these options will go a long way to help tackling the issue. Plus, it has the added benefit of saving the company money and boosting brand reputation. 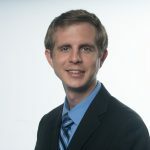 Kyle Bittner is the Business Development Manager for Exit technologies, an R2 certified, global IT asset disposition company (ITAD). Kyle currently focuses on process improvement, business strategy and informatics and tweets at @ExitTech.